Bobby Atkins was born in Shoals, North Carolina. At age four the family move bobby to Gold Hill, North Carolina where he was raised on a tobacco farm. Their family wasn't that well off as Bobby's mother had to make shoes out of old inner tubes for two older brothers to wear to school. She would also take wheat from the old wheat drill and parch it, then boil it as a substitute for coffee. But there was one thing this hard working God fearing family had in sheer abundance, and that was their musical talent. As an infant bobby found himself surrounded by the sweet sound of his mother's guitar, backing both his father's fiddle and claw hammer style of banjo picking. While in grammar school Bobby, his brother Kemp, and some friends were unknowingly over heard as they pretended to perform on the Grand Ole Opry in the near by woods using tin cans atop cut-off saplings serving as microphones. Their listening audience was a teacher who was impressed with their performances and asked the youngsters to play for a school play. After the play, the principal of the school asked them to come to his room and play for his class, too. Each earned 15 cents and a pack of gum this was the first money Bobby made performing. Bobby was in the second grade, the name of the school was "Intelligence" better known as Bald Hill, near Madison, NC. Bobby continued to work at his interest in music and at the age of fourteen, Bobby and his brothers Kemp and Thurman were playing and singing on radio stations through out their home state beginning on WFMB radio in Mayodan, NC. When he was sixteen, Bobby swapped a watch for a banjo. From that point on, he was history in the making. Although just a teenager, Bobby's talent to sing and play the five string banjo landed him the opportunity of a life time to perform with father of bluegrass music, Bill Monroe and his Bluegrass Boys and to play on the stage of WSM's Grand Ole Opry. When Bobby went to work with Bill Monroe the first time in 1954 Bobby didn't even have the clothes he needed to wear with a great artist like Bill Monroe and the Bluegrass Boys. So Bill's manager and a legendary promoter, Carlton Haney, took Bobby to JC Penny's in Reidsville, NC and bought Bobby suitable clothes. Mr. Haney started the first bluegrass festival and has given a lot of bluegrass and country entertainers a job. 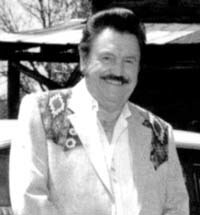 Bobby was fortunate enough to share the stage and radio show with other music legends such as Lester Flatt and Earl Scruggs, Don Reno and Red Smiley, Kitty Wells, Stonewall Jackson, Wanda Jackson. Marty Robbins, Mac Wiseman, Charlie Monroe, Clyde Moody to name a few. Bobby spent fourteen years working with a former partner as Joe stone, Bobby Atkins and the Dixie Mountaineers. The group packed the houses from New York to Texas. Bobby also spent four years at Carlton Haney's New Dominion Barn Dance in Richmond, VA. In 1967 Bobby had the inspiration to start his own band. From this beginning came guitar great, Tony Rice, and on the dobro Tony's Uncle Frank Poindexter. Later, Tony and Frank moved on to fulfill their dreams. Bobby began to look at the talent he saw and heard at home. He began to see in his sons, daughter and nephew the same love and ability to sing and play that he himself had possessed at an extremely early age. Although all of Bobby's sons and daughter are musically talented and have been in his band at one time or other, his son Mark is following in his dads foot steps and is Bobby's partner today. He has been in the band for 24 years. He started as a regular at the age of eleven, he is a singer, and plays the mandolin or any other instrument you care to put him on. He is a great artist in his on right. His successes also include two movies scores, "Preacherman" and its sequel, "Preacherman Meets Widow Woman" in which Bobby had acting role in. He has demonstrated to the world the qualities and abilities that are possessed by a truly talented artist and a true gentleman. Bobby never liked to be labeled to one type of music, he can take you back to the 50's or lift you through the 90's without losing a beat. For more than fifty years Bobby Atkins has given the world his gift the gift of music. He has given it gladly and generously, from the Grand Ole Opry, radio, TV to countless top 10 songs around the world from working with legend and becoming a legend in his own time and giving timeless, time and again to help others get their start.